Cruises are a great way to escape from the rigors of daily life, de-stress and just sit back and watch the rest of the world go by. And the good news is, you don’t have to spend an arm-and-a-leg to set sail; in fact, you can enjoy a relaxing day cruise on Lake Mead for less than it costs to park at most ports. 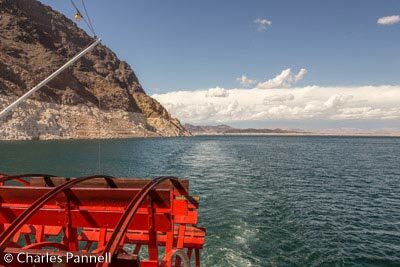 Not only is a Lake Mead cruise quite affordable, but it also makes a great side trip from nearby Las Vegas. As an added bonus, the ship — a Mississippi-style paddle wheeler — is one you won’t find in most ports. The aptly named Desert Princess is operated by Lake Mead Cruises www. ​​lake ​mead​ cruises .​com), and is moored at Hemenway Harbor, on the south shore of Lake Mead in Boulder City. 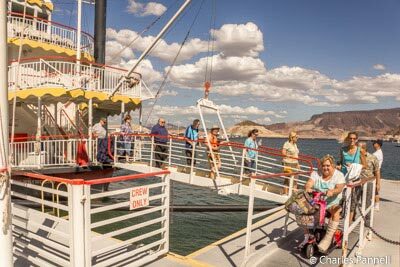 It’s important to note that the Lake Mead Cruises Landing is inside the Lake Mead National Recreation Area, so be sure to bring your America the Beautiful Access Pass for free admission to the park. The road to the harbor is located on the right, just past the entrance kiosk. From there, bear right and follow the signs to Lake Mead Cruises. Accessible parking is located near the landing, with level access up to the building. Inside there’s level access to the ticket counter, a gift shop and a small snack bar, and plenty of room to maneuver a wheelchair around the waiting area. A large accessible family restroom is located across the hall, and there’s also level access out to the spacious lakeside deck. Boarding the Desert Princess is a snap too, as there’s level access out to the gangway, and barrier-free access up to the ship, with plenty of room for wheelchairs and scooters aboard. Although there’s only stair access to the top two decks, there’s level access to the main deck cabin, where you can get an equally awesome view of the lake. A large accessible family restroom is also located in the main deck cabin. 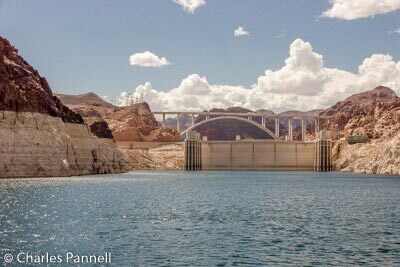 The 90-minute cruise includes a narrated tour about the history of Lake Mead and the construction of Hoover Dam. And if you’d like a bite to eat, reasonably priced lunch items are available in the main cabin. The Desert Princess — the largest ship on Lake Mead — cruises past Fortification Hill and the Arizona Paint Pots, before it squeezes through Black Canyon for an up-close-and-personal look at Hoover Dam. Along the way you’ll be treated to some very colorful scenery, and if you’re lucky you might also catch a glimpse of big horn sheep on the cliffs along the shore. Sunday champagne brunch and nightly dinner cruises are also available on the Desert Princes, so save some time for this fun diversion on your next visit to Sin City. The fresh air is just what the doctor ordered, and you just can’t beat the scenery on this nicely accessible cruise.